Sometimes things go way all beyond any expectation. You are chatting with a friend about general random things, and you end up organising a thematic event together with a commission and a committee. Believe it or not, it all started with a joke and it ended up so happily. 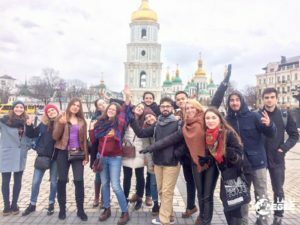 This is the story of how the Audit Commission of AEGEE-Europe, the EQAC-Events Quality Assurance Committee and AEGEE-Kyiv managed to organise Fun-Ance Form-Action: FAFA #1 Kyiv. The AEGEEan: How did this whole idea start? Luca Bisighini (President of Audit Commission of AEGEE-Europe): Believe it or not, it all started one night with a joke me and Iryna (president of AEGEE-Kyiv) discussed one night in January. Actually, to be honest, I had this idea in my mind for a very long time as I was seeing all the Network Commissioners having their own events and me having none. I would never thought it would have ended into something like this. At all. Luckily Iryna accepted my idea, in two-three days we had already a plan made and in seven days the event was on the Intranet after some Skype meetings full of enthusiasm. 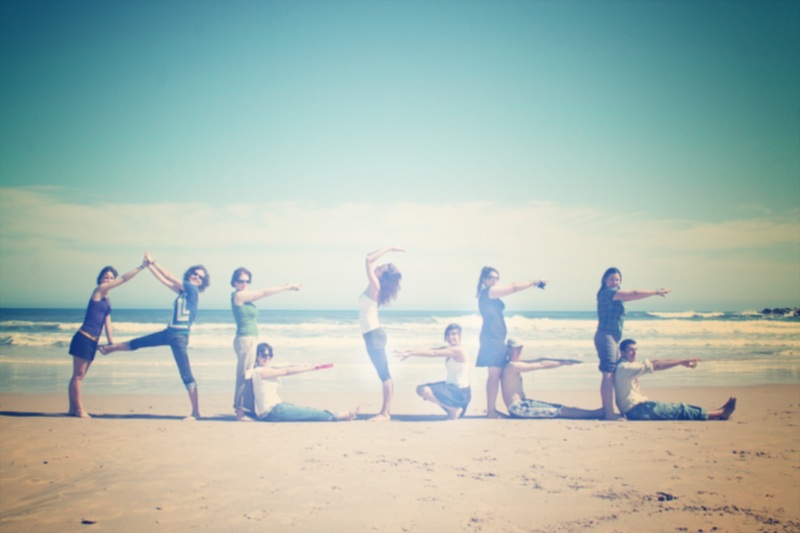 Fun-Ance Form-Action (or FAFA) was born. 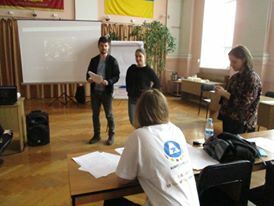 Iryna (President of AEGEE-Kyiv): Actually it was cool idea from my point of view. I couldn’t imagine that after NY event in Krakow we would right away organise an event with the Audit Commission. It was a great example that even during entertaining events it is possible to meet people with whom you can do serious projects! Why involve Audit and EQAC? Maria (EQAC and AC Subcom): Audit Commission and Events Quality Assurance Committee are European Buddies who have a lot of experience to share. Both things – events management and audit and financial management – are logical things that need specific skills to be successful. It is not hard to teach about basic steps and cultivate new treasurers and event organisers, but to make them successful we need to provide proper (and interesting) education. Before, there wasn’t any specific training that could lay the ground for such discussion and providing new skill in Audit and event management. So, Audit and EQAC were involved to discuss about this steps and teach participants of FAFA this planning and auditing skills. Luca: The workshops about the Audit Commission and project/campaign management have been practically developed from scratch, using techniques I developed mostly out from AEGEE in my university studies – united to the cool techniques of facilitation the Academy taught me during last year as Junior Trainer. Somehow, I saw lots of people being involved in the process, activities and realised that actually the Audit Commission and treasury are not things for just an elite group of people. 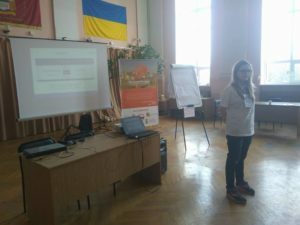 Daria (EQAC Secretary): Kyiv saw new workshops of EQAC that were done according to the needs we meet in AEGEE. We didn’t have a goal to teach people how to fill assessment/evaluation forms to make their EQAC responsible happy, but tried to teach people to think critically about events. How many participants and organisers attended the event? How was the event designed (workshops, social programme)? Iryna: Around 15 people were involved. They were motivated to meet foreigners as the organisers’ team consisted mostly of newbies. It was great to give this opportunity to them and test them at the international level. 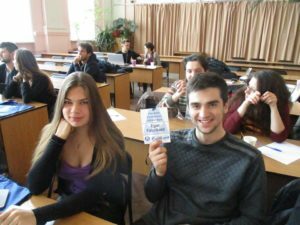 In AEGEE-Kyiv, we always try to balance our events. That is why FAFA consisted not only of workshops, but we also had a city tour, went clubbing and enjoyed a pub crawl. What is next for you three? Luca: The Audit Commission got back to a good visibility and events like this one just show the good intentions we have: bringing back people to discuss about finances. All of this on our own soon 30th anniversary: it is delightful, isn’t it? You can think about joining us, following us or discuss with us at audit@aegee.org. We are here for you! And maybe, who knows…maybe a second FAFA can be great too! Iryna: We are going to be active and help dreams and ideas of our members come true. They, of course, need to be according to Strategic Plan and Action Agenda [she smiles, ed.]. On a serious note, with such events I can say on behalf of all our local that we want to give people opportunities to develop, to start their CV with interesting projects, to get new experience and unbelievable stories. Members of our antenna try to make high quality events and projects and we concentrate on those which give us opportunities for non-formal education and personal development.